Reduce. Reuse. Recycle. 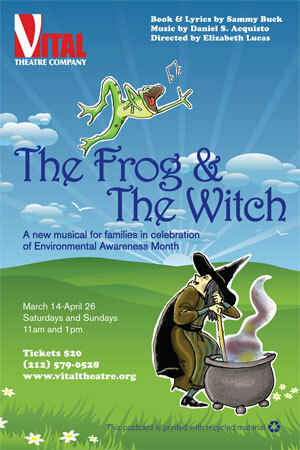 Sing… Pyx, the frog is the best singer in the village of Wishwell, until the unthinkable happens: He croaks! Determined to get his voice back, Pyx follows a plume of thick black smoke to the outskirts of town where a powerful witch brews potions. Pyx might just be able to get his voice back but only if he can get the witch to clean up her act. 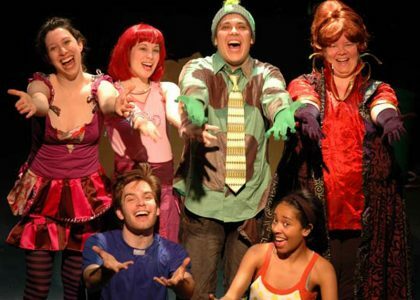 The cast of The Frog & The Witch at Vital Theatre (front: Jeff Barba, Monique Beasley); back: Rebecca Stavis, Caitlin Mesiano, George Salazar, Angela Dirkesen. 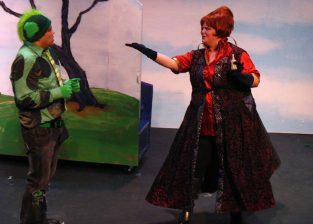 Angela Dirksen and Jeff Barba in the Vital Theatre production of The Frog & The Witch. 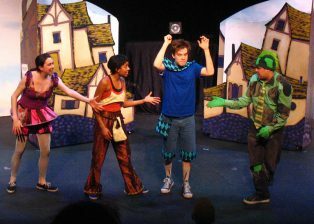 Jeff Barba, George Salazar, Monique Beasley and Rebecca Stavis in the Vital Theatre production of The Frog & The Witch. 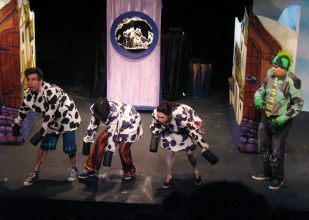 Jeff Barba, Monique Beasley, Rebecca Stavis and George Salazar in the Vital Theatre production of The Frog & The Witch. 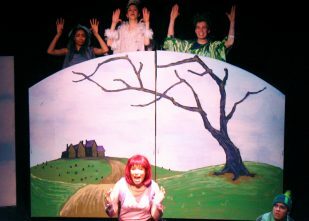 Monique Beasley, Rebecca Stavis, Jeff Barba and Caitlin Mesiano in the Vital Theatre production of The Frog & The Witch. 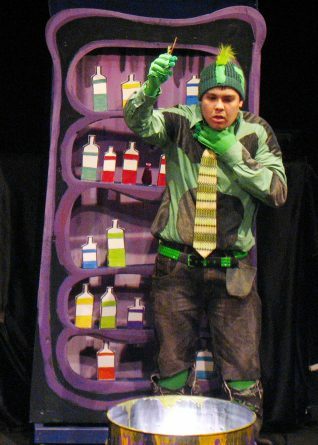 George Salazar in the Vital Theatre production of The Frog & The Witch. Rebecca Stavis, Jeff Barba, Monique Beasley and George Salazar in the Vital Theatre production of The Frog & The Witch. George Salazar and Angela Dirksen in the Vital Theatre production of The Frog & The Witch.